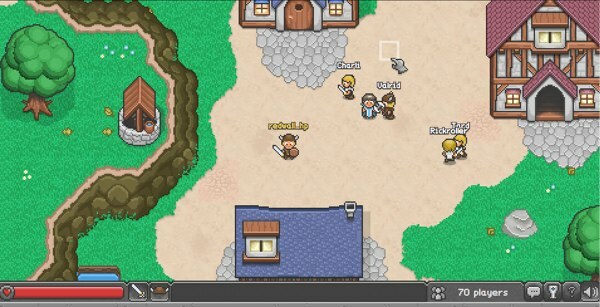 Imagine a massively multiplayer game using HTML5 features, such as Canvas and WebSocket, that works in any modern browser. Ridiculous, you say? Then you haven’t seen BrowserQuest yet. The clever demonstration, featured on the Mozilla Hacks blog, works on both desktops and mobile devices, in all it’s scrolling two-dimensional glory. It’s rendered on an HTML5 Canvas, uses WebSockets to stay in constant communication with the Node.js server, saves your progress with the local storage API, preloads the map in a different thread with Web Workers, plays sound with HTML5 Audio and even uses media queries to adapt to different devices. Oh, and the source code is all available on GitHub. The game is largely exploring, hacking-and-slashing monsters along the way, while you collect achievements. It has chat, and you can find new items to replace your default gear, but no player-versus-player combat. My laptop’s fans stayed far quieter than they would while playing a similar Flash game, which I would say says something about the level of optimization browsers have done when compared to OS X/Linux versions of Flash. I think we’ll be seeing more games built this way in the near future, and 3D games once WebGL reaches the same level of maturity and browser support.